.177 caliber, single shot, multi-pump, OAL 35”. Weight about 6.5 lbs. Beautiful walnut stock and forearm. 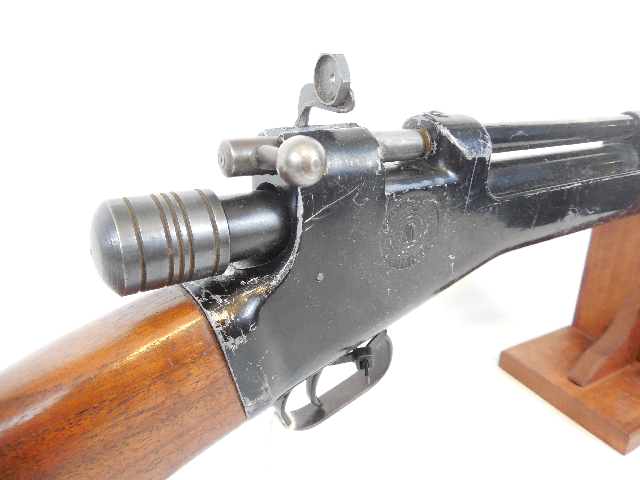 The Crosman 100-101 was the standard Crosman rifle from 1924 to 1950. 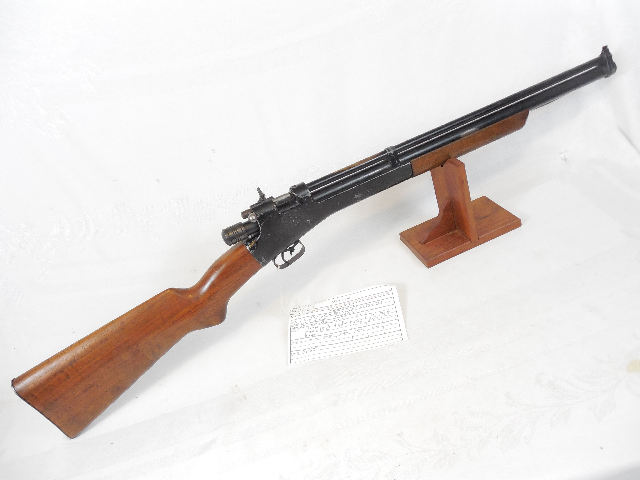 The Model 100 was the .177 version of the Crosman 101. The .177 caliber model 100 is much scarcer than the .22 caliber 101. 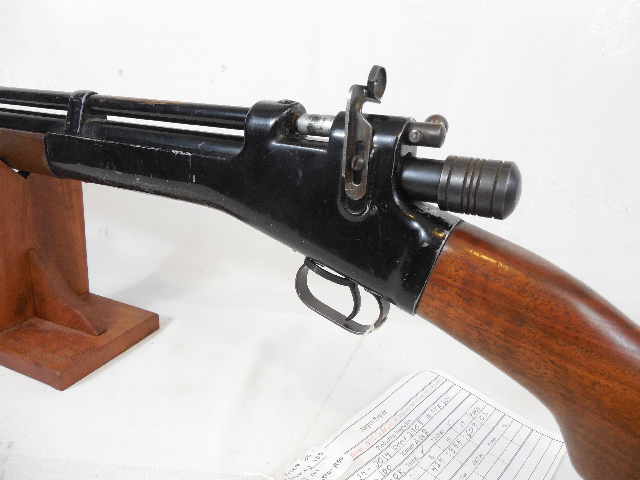 The model 100 was made from 1940 to 1950. 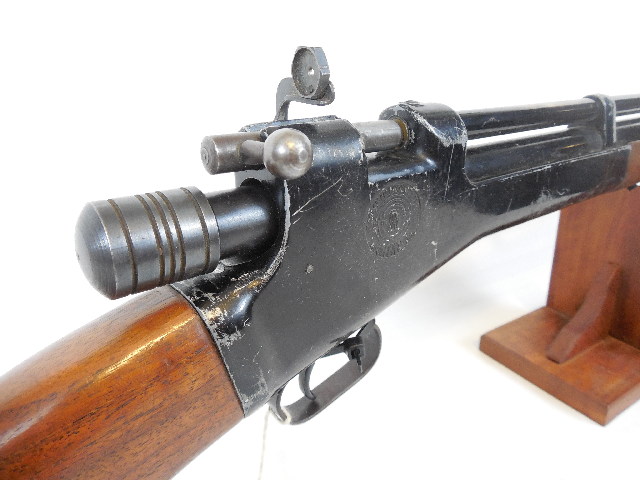 This one has the curved logo, five groove cocking knob , brass rifled barrel, hex shaped rear sight and walnut stock and forearm. This gun was recently re-sealed in our shop .Velocity was tested at 603 fps with lead pellets. 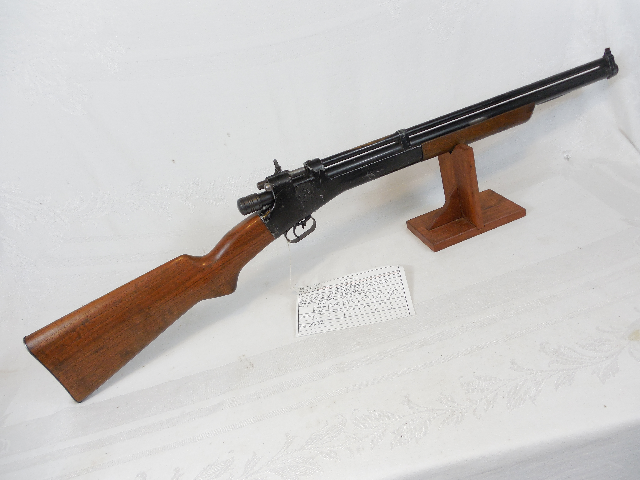 This particular gun is in excellent condition. The metal appears to have the original finish and although the finish ahs some scratches, there is about 80-90% of the original finish remaining. 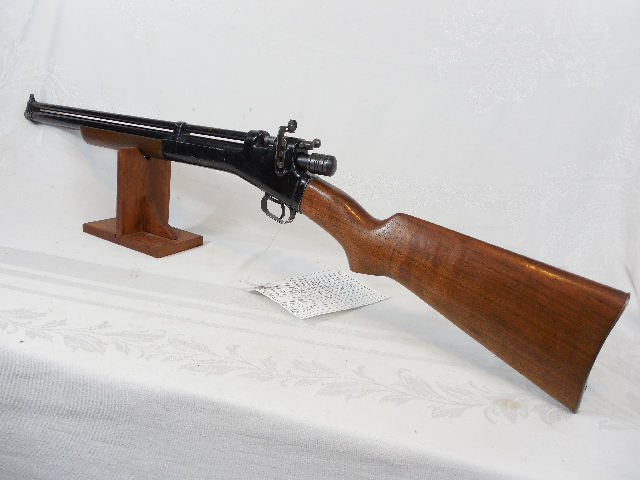 The wood stock is excellent, no cracks or chips and appears to have been nicely refinished sometime in the past.